I actually did the two week usage for this post about a month ago, but then I got caught up with my non-blogging life to finish the post. 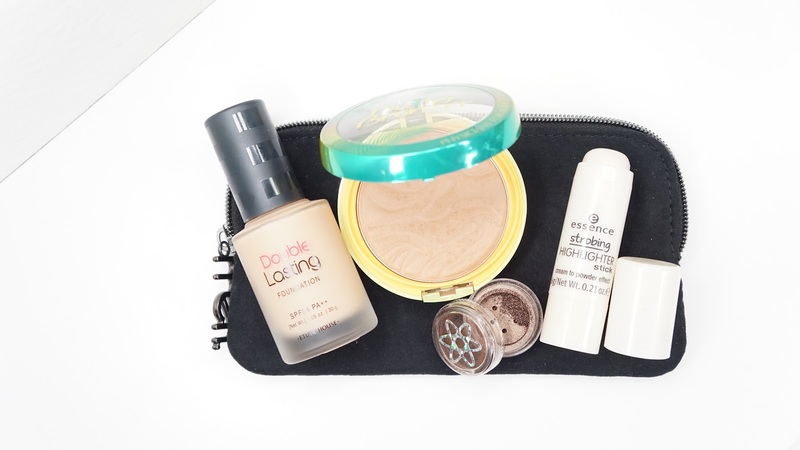 I mentioned doing a drugstore or affordable beauty Makeup Bag Makeover in my previous post in this series, but I wasn't intending it to be this one. I have been buying more affordable brands though and wanted to fully test them out before doing my Affordable Beauty week on my blog and Instagram. I don't have that many matte or long wear foundations and because this foundation was one of the few AB ones that actually would match me, I took a chance and bought it. Considering that it's a long wear foundation, I was pleasantly surprised that it wasn't drying and still kept my face looking semi / naturally matte all day long! It's a more buildable medium to full coverage foundation, but I usually only do one layer with a buffing brush to even out my complexion. For some reason, it doesn't set that well around my upper lip and so I tend to wipe off any excess with a tissue and then my face looks perfect. I usually set my t-zone and contour/bronzing area with powder, but I can often forgo powder since my skin is on the dry side. Amber is the darkest shade and that's so disappointing but also not surprising. While EH did boast about their larger color range besides the standard #21 and #23, all of their shades are just variations of #19 to #24 with different undertones. I recently did see a post about EH releasing darker shades though and I hope they'll be more readily available soon! I've heard so many great things about this bronzer and since I couldn't wait for the two new darker shades, I decided to go with the shade Bronzer. One of the great things about this bronzer is how it builds up instead of being instantly pigmented. I'm not that tan and I usually fit within the medium light shade range and Bronzer barely shows up on me. It adds a beautiful bronzed sheen to my face, but it does take quite a bit of powder for it to show up on me. After I'm done, you can see a layer of powder on my face that I'm not happy about. I can see myself using this bronzer to help me blend in foundations that are too light for my skin tone though. I was trying to compare it to the other bronzers in my collection and it does look like the Tarte Amazonian Clay Waterproof Bronzer in Park Avenue Princess when used with a light hand. 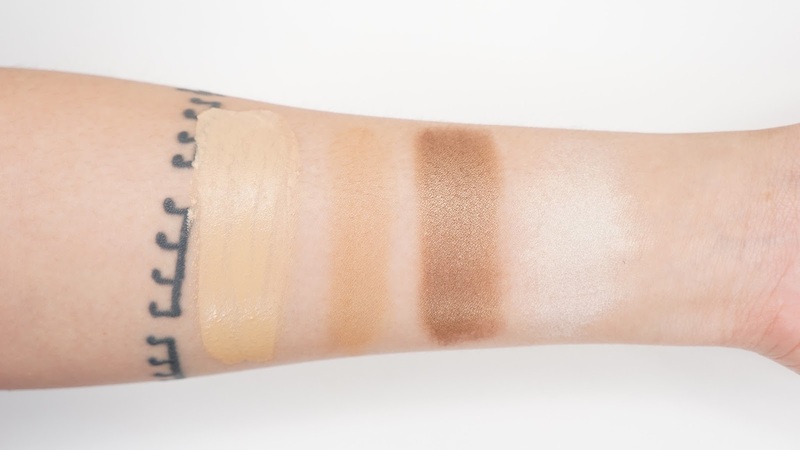 If you like the glow and finish of the Tarte bronzer and you're on the more fair side, I would recommend the Physicians Formula bronzer as an alternative. I feel like I should just really push that this isn't a bad bronzer. In fact, it's really good but only if you're light enough to wear it. I was searching through my Indie makeup lately and pulled out this shade to use again. I generally avoid loose shadows unless I have a lot of time since they can be a hassle to use, but I love this formula! It's a deep shimmer bronze shade and I've been applying it with my fingers all over my lids. On most days, I've only been wearing this shade and then I might add a very deep matte brown shade in the outer V for a smokier look. Because the formula is semi-loose, there are more binders in it and so it almost applies like a cream shadow and doesn't have the same mess regular loose shadows can have. I love this shade and formula and I hope they release more shades in this formula when they re-open this summer! I feel like I've become a snob because I honestly wasn't expecting much out of this product. 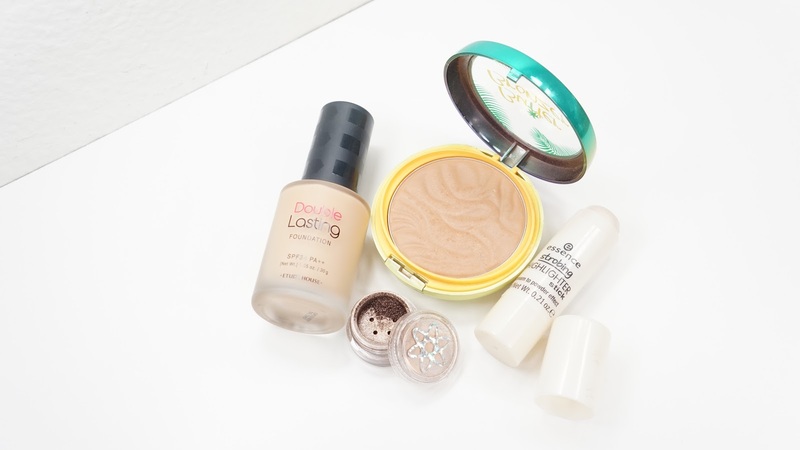 While Essence is a drugstore brand, it's also one of the more affordable drugstore brands. I haven't had much luck with cream face products at this price range, but Essence hit it out of the park with this product! Oh man, this is such a gorgeous highlighter. It is more on the subtle side but looks so perfect and beautiful for everyday wear. It kind of reminds me of the Glossier Haloscopes but without the balmy finish. If you didn't like that feeling of something on your face, I would recommend this highlighter instead. What's your favorite affordable makeup brand? Have you tried any of these products?